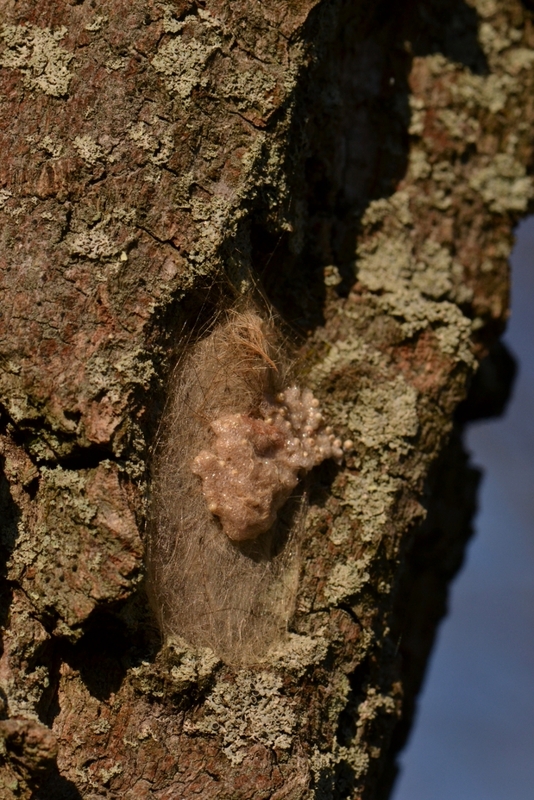 This hairy cocoon is covered with a foamy egg-mass. While it may seem unusual to see eggs deposited on top of a cocoon, this is how some tussock moths lay their eggs. Here is another one of those egg-covered cocoons that I found on the bark of an oak tree along the trail, not far from the cocoon pictured above. 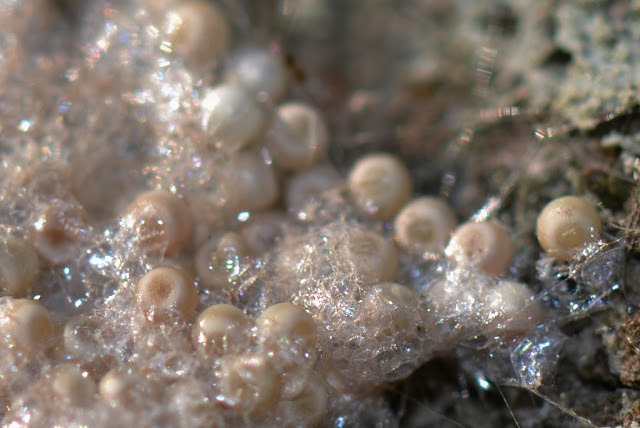 The froth covered eggs are deposited on the silk strands and multicolored caterpillar hairs of the cocoon. There is even some hair (possibly moth hair) incorporated into the froth. 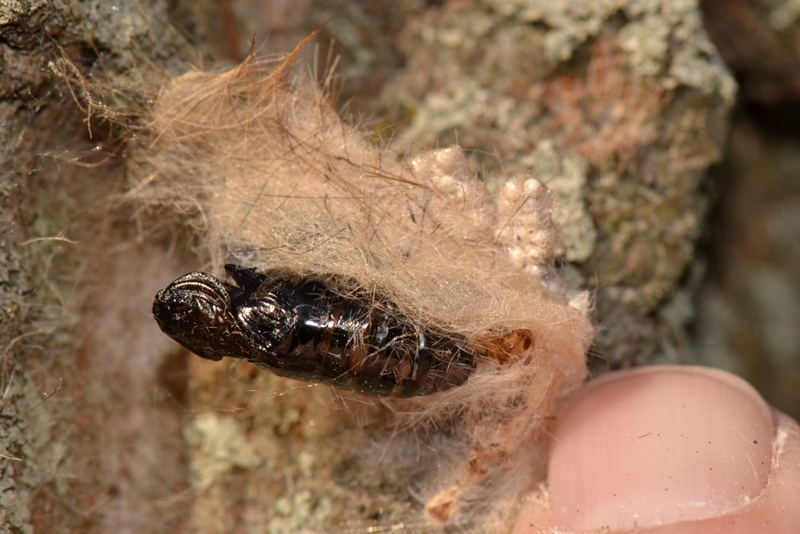 Hidden under the layer of silk and caterpillar hair, there is an empty pupal case. What is going on here? How did this interesting combination of an empty pupal case, hair, and frothy eggs come about? Well, when White-marked Tussock Moth caterpillars (Orgyia leucostigma) pupate, they incorporates their hairs into a protective covering over themselves. After pupation the moths emerge. The males fly off and follow chemical signals to find the females. The female tussock moths are flightless moths. They lay their eggs on, or near, their cocoon. The eggs (at least those of the White-marked Tussock Moth and some other tussock moths) are laid in a froth, or foam, which hardens and holds the eggs in a mass. When the caterpillars hatch, they "balloon" to new locations... and the process begins anew. The stuff we pass by without seeing is amazing.